Smoke from hundreds of wildfires burning across B.C. has left virtually all of the province in a haze. The wildfire situation across B.C. 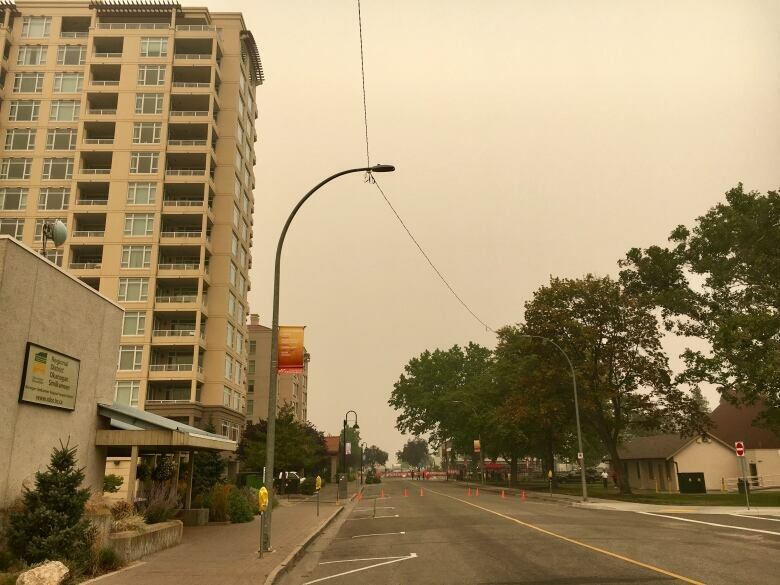 largely held over the course of the day despite fears that strong winds would whip up the flames, but smoke from the sheer volume of fire has left virtually all of the province in a haze. 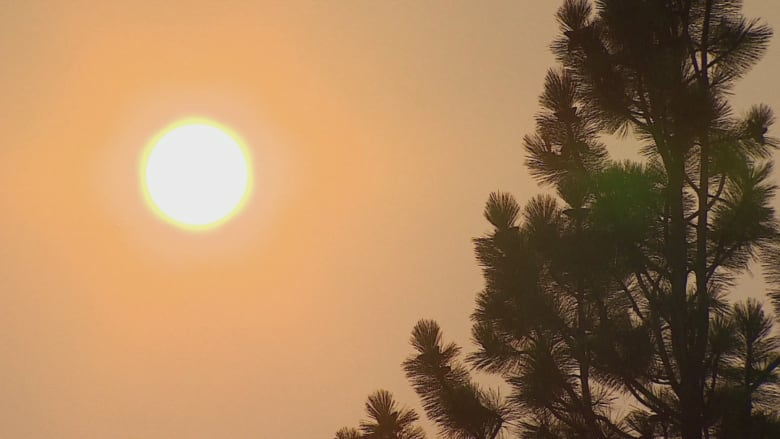 Every area aside from the far north, west coast and the tip of Vancouver Island is under a special weather statement because of poor air quality as of 3 p.m. PT on Saturday. Local levels of smog may differ based on wind and characteristics of the closest fires, but a "significant" clearing isn't expected for several days — unless the weather changes drastically. 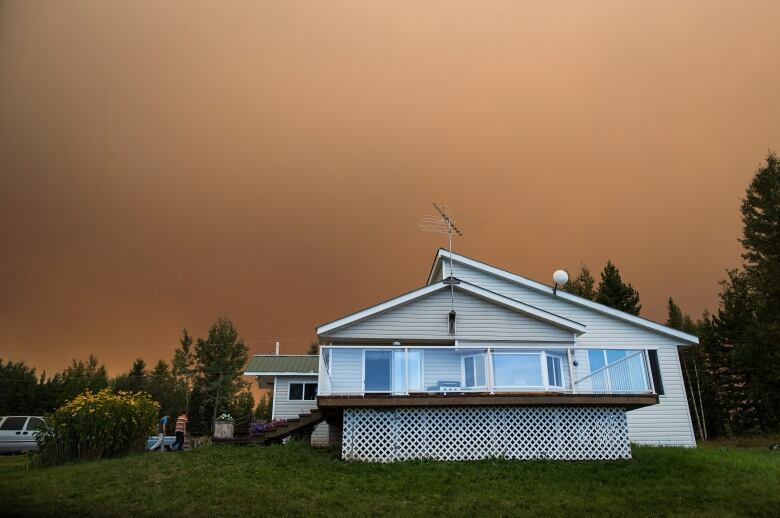 Allan Coldwells​, a meteorologist with Environment Canada, said smoke from the wildfires in the U.S. will also be making their way north into the province. "There is more smoke tonight and into tomorrow as we get smoke coming in from Washington as we head into the next system," Coldwells said. "The smoke is going to be an issue for the next five days." Fire information officer Kyla Fraser said the B.C. Wildfire Service isn't anticipating any catastrophic weather this weekend. Winds are expected to soften and there isn't any lightning in the forecast, but there's still no sign of rain — which is what crews have hoped for. "That could increase fire activity, just due to the dry conditions, but no big weather events in the forecast," the information officer said. "That's about as good as it gets, I think." The southern halves of Alberta, Saskatchewan, and Manitoba as well as a chunk of western Ontario are also under advisories. Children, infants, the elderly and people with pre-existing health conditions are more likely to feel adverse effects from smoke exposure. At-risk individuals should stay inside and take it easy. Strong winds and dry weather threatened to whip up flames in many parts of the province on Thursday and Friday, but the situation held overnight in most areas. Despite the apparent reprieve, Fraser said there are still "quite a few fires of concern." The Shovel Lake fire — the province's largest — has scorched 78,000 hectares between Burns Lake and Vanderhoof. The Bulkley-Nechako Regional District issued an evacuation alert and order for parts of the region after the B.C. Wildfire Service put out a warning about the blaze earlier this week. Dozens of evacuees have since arrived in Prince George, which has opened an emergency reception centre. Some under evacuation order, however, have refused to leave. Jim Fehr runs the Noralee Resort on Francois Lake, south of Burns Lake. He and several others — ex-loggers and machine operators — stayed behind despite an evacuation order for the area earlier this week. "We'd like to do what we can to help," he said. "I'm not on a suicide mission at all here. I'll pull out when I have to ... but I'll fight as long as I can." Doug Donaldson, B.C. 's Minister of Forests, has repeatedly urged those under evacuation orders to comply. "We don't want situations where people are compromised by advancing fires and have to be rescued or us not being able to get to them," the minister said Thursday. In the southeast corner of the province, thousands of people living in Kimberley are entering their second day on evacuation alert. People living at three dozen properties to the west have already been ordered to leave due to a cluster of wildfires in the area. The B.C. Wildfire Service said the nearby Meachen Creek wildfire stayed relatively the same size Friday night, but residents under the alert still need to be ready to leave at a moment's notice should the situation worsen. Mayor Don McCormick said he was vigilant, but hopeful. "Seeing the strategy that's in place, I feel very confident that the fire service will be able to get this in hand," he said Friday. "When they start to panic, I'll start to panic." 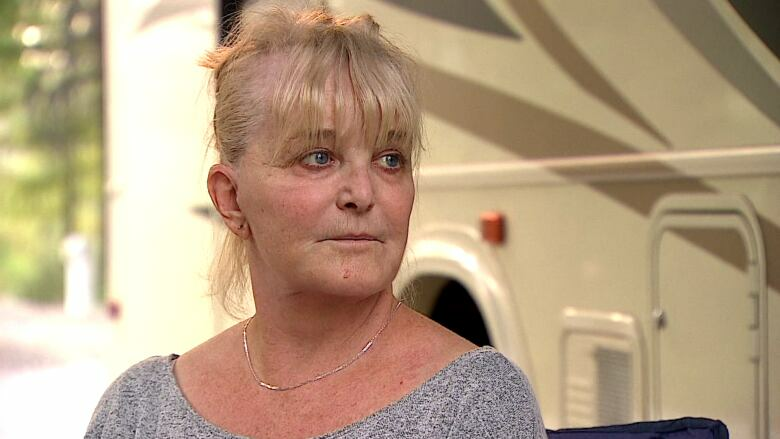 Laurel Unger is visiting Kimberley in her RV. She said the weather is a bit better than expected, but the city is muted. "It just looks like a hazy day to me ... but it's very, very quiet," she said. On Friday, the province announced it would match donations to the Red Cross for people affected by wildfires up to $20 million. The B.C. Wildfire Service said its cost for fighting fires so far this season has topped $242 million. B.C. is in its fourth day of a province-wide state of emergency. 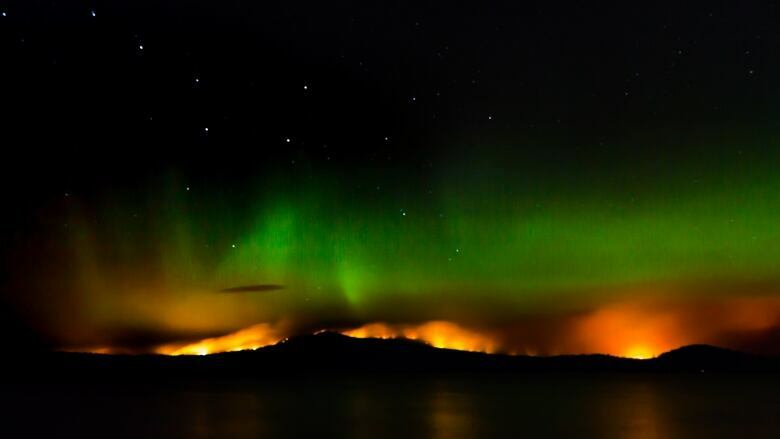 There are more than 560 wildfires burning across the province. People living in more than 2,800 properties have been forced to leave, while 11,300 more properties are under evacuation alerts. A local state of emergency has been declared in Zeballos — northwest of Tahsis — on northern Vancouver Island as several fires threaten the only road in and out of the area. An evacuation order was issued for six properties in the area at 4 p.m. PT. The Regional District of Central Kootenay has issued evacuation alerts for all of Syringa Provincial Park and along Lower Arrow Lake — which includes 26 properties and 100 campsites — as well as another area south of Deer Park which covers 77 properties. 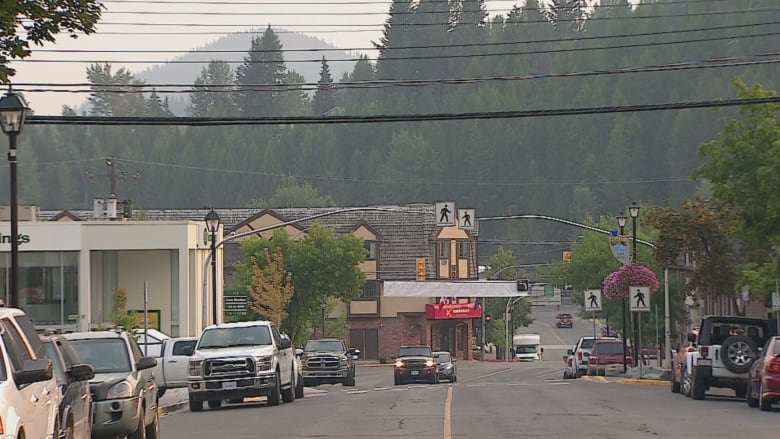 Highway 93 South through Kootenay National Park may be affected by wildfire smoke this weekend. 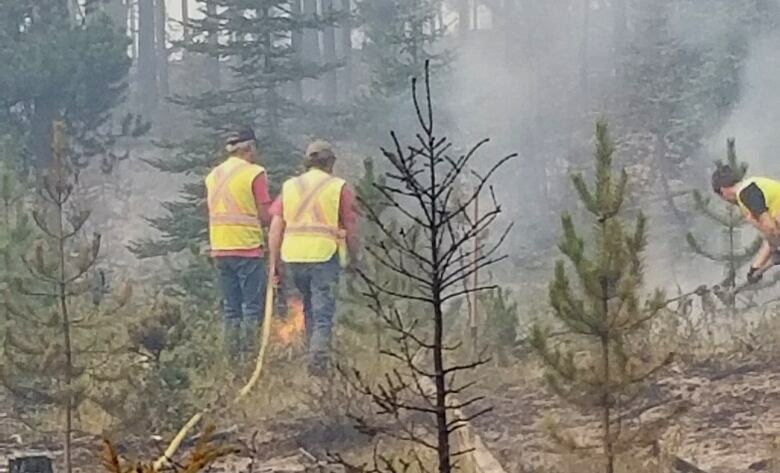 Traffic has been reduced to 50 km/h through the area of the Wardle wildfire. Around 100 Canadian Armed Forces personnel were deployed early Thursday to an area west of Kelowna, working on the mop-up of contained fires. The Department of National Defence said it's working with the B.C. Wildfire Service to determine where and when to send other troops. Twenty-two new fires started Thursday, bringing the total to 565 as of Saturday at 8:30 a.m. PT. Wildfire smoke over western Canada is visible from NASA's DSCOVR satellite — which is about 1.6 million kilometres away.